Grimm fans can look forward to an all-new season filled with new plots, twists and Wesen creatures once the series returns to NBC this fall. The paranormal show’s producers and cast attended the SDCC and served some spoilers and teasers. Since Nick has been “un-Grimmed,” his Wesen friends Rosalee and Monroe seem to be unable to fully enjoy their honeymoon. Silas Weir Mitchell gave a quick preview of Grimm Season 4 in this TVGuide report. Saying, “The Grimm has been un-Grimmed… things are turned upside-down.” This un-Grimming affects his character Monroe’s honeymoon with Rosalee (Bree Turner), of course. The biggest question thus far is that, how does Nick get his mojo back? “We are exposed now as Wesen harboring this Grimm,” Turner added, referring to the incident at the wedding in the Grimm Season 3 finale. Their Wesen friends are expected to demand answers. Naturally, these things would get in the way of the usual post-wedding schedule. “Trubel is now my seeing-eye Grimm,” David Giuntoli said, confirming that Trubel (Jacqueline Toboni) is playing a bigger role in Nick’s life in the beginning of Grimm Season 4. 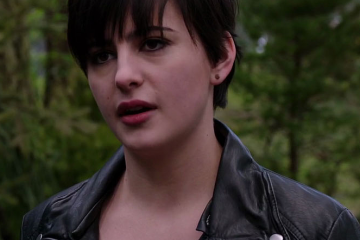 Additionally, David Giuntoli, who plays Nick, says that Trubel will work as his “seeing-eye Grimm,” but that also his life will be easier not having to fight monsters. Speaking of monsters, there will be some screen time for Adalind’s baby. In terms of more specific plot points, monsters this season will include a Chupacabra, Gedachtnis Esser, an octopus creature that “steals your identity in a very disgusting way.” Oh, and another key will be found, and fans will finally find out what the seven keys mean and what they lead to. That certainly seems to portend an eventful fourth season. Some of the mysteries within the world of Grimm, will be answered, but perhaps even more mysteries will be unveiled. 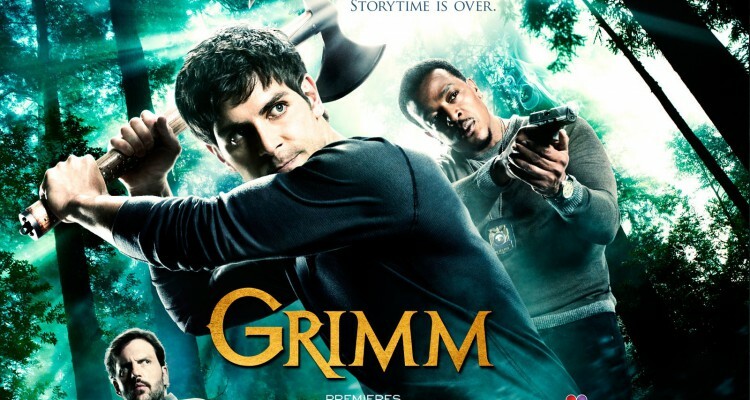 Grimm returns to television Friday, October 24 at 9:00 p.m on NBC. “I think we’ll try to find some interesting way to bring Captain Sean Renard back,” Sasha Roiz said, teasing what happens next to the Portland Police captain. No big details there, but many fans are relieved to know for sure that Sasha Roiz and Captain Renard will be back for Grimm Season 4. Captain Renard’s mom will be introduced. Showrunner David Greenwalt assured fans Adalind’s (Claire Coffee) baby will be seen again next season. Viewers will see a “Chupacabra” and an Octo-Man. More will be unveiled about the seven keys. Interestingly, the fans are keen to know what these keys truly unlocks. Those curious about Sergeant Drew Wu (Reggie Lee) has to wait until Grimm Season 4 premiere if he would finally be part of Nick’s “core support group,” which currently involves Julliette (Bitsie Tulloch), Hank Griffin (Russel Hornsby), and the Wesens.